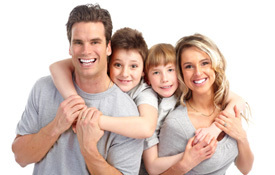 Supporting healthy families with chiropractic care. Kenaston Family Chiropractic, named after its Kenaston Village Mall location in charming Winnipeg, has been open since 2003. Husband and wife team, Dr. Garry Murray and Dr. Joginder Sidhu welcome children, parents and anyone looking for relief and healing. The health of the community depends on the health of the people within it. It’s our mission to help people get healthy so we can build on one of the healthiest communities around. We believe that everyone is connected and that through family care, we’re creating a healthier Winnipeg one family at a time. We’re now open Saturdays from 10am-11am so you can get the care you need even on the weekends. For those new to chiropractic care or are first-timers here at Kenaston Family Chiropractic, our first goal is to ensure you’re comfortable. We’ll guide you through care, ensuring you have everything you need and all of your questions answered. Everyone gets an individualized care plan created to meet your exact needs so you can reach your goals. We can help you! Then, once you’re feeling better, we’ll talk with you on the benefits of regular care and how to achieve true wellness. Our Greatest Success Is You! We are motivated to see you get back to doing the things you enjoy. “When I see patients being able to meet their goals, that’s when I feel like I’ve done my job,” says Dr. Sidhu. Dr. Murray feels fulfilled when his patients tell him how much their lives have changed. Whether they lost the 30 pounds or followed through with ideas we’d discussed, that impact is very encouraging. We hope that whatever you learn from us, you’ll stick with it. Through education and casual conversations, we hope you take what you learn and make it your own. It’s up to you to follow through with your plans, but we’re here to cheer you on along the way. We’re passionate about helping you and your loved ones, just as we’ve helped so many in the past. Contact us today and let’s see the difference care can make in your life.